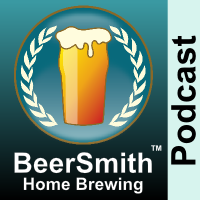 Randy Mosher joins me this week to discuss what different malts and grains bring to your home brewed beer. He gives us an amazing tour of the most popular malts used in home brewing and explains the flavors they really bring to the beer. Randy Mosher from RadicalBrewing.com is my guest this week. Randy is the author of Radical Brewing, and Tasting beer (full disclosure: Amazon Affiliate Book links) and is also working a comprehensive new book on brewing. This week’s episode is sponsored by Craft Beer and Brewing Magazine – sign up today for your subscription! Randy tells us a bit about his new book “Mastering Homebrew” which will be released this fall. Randy talks about base malts and what they bring to the beer, as well as flavor malts, color malts and base malts. We start by discussing his base malt blocks including Pilsner, Pale malt, Munich and Vienna malts. He also explains why mild malt is a very attractive malt for many darker styles.